P​AT PATRICK JURIED INTO "WATERCOLOR SOCIETY OF ALABAMA"
An exhibition of works by the 2Rivers Painters at the Brentwood Library, including realistic and abstract works in various water media, showcases the level of professional paintings by this group. View these through the entire month of February, 2019. 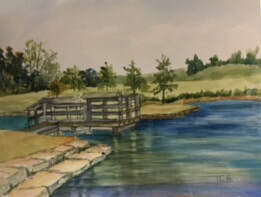 The 2 Rivers Society of Painters will exhibit their artworks at the Brentwood Library through out the month of February. The Library is located at 8109 Concord Rd, Brentwood, TN 37027. 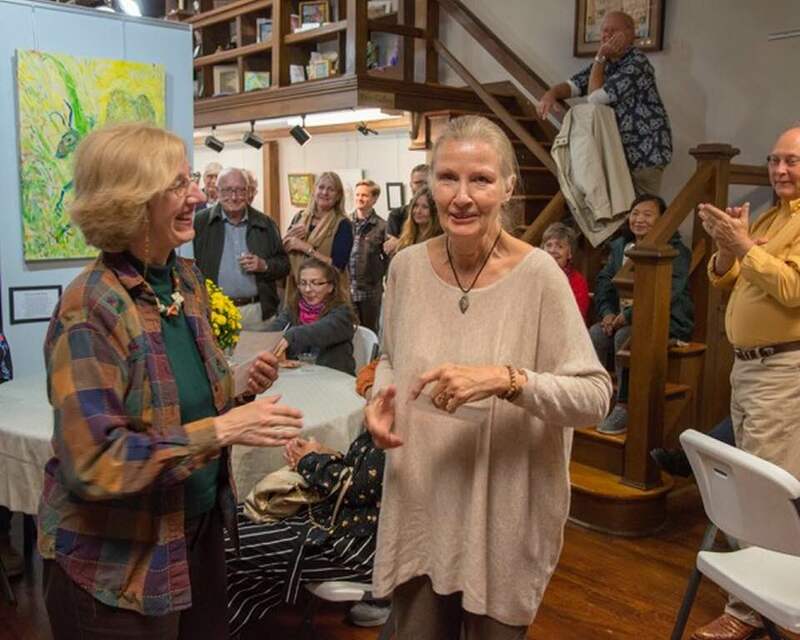 Patsy is pictured with her two paintings that were juried into the Pryor Gallery Exhibition in Columbia, TN. The exhibit ran through the month of December. 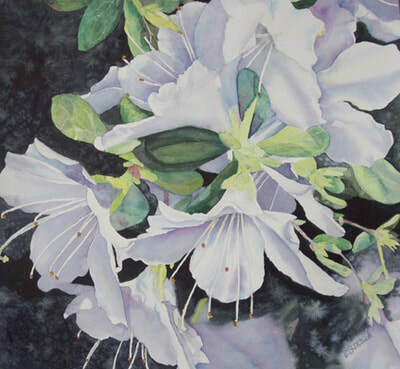 Only six artists in the Regions I and II of the Tennessee Watercolor Society had two paintings accepted. Patsy and Pat Patrick, both 2 Rivers Society of Painters members, were two of the six. 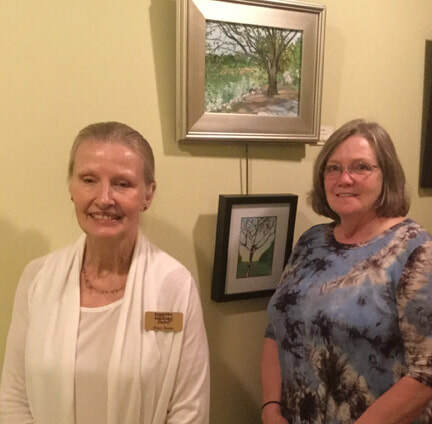 Patsy is pictured with her two paintings that were juried into the Pryor Gallery Exhibition in Columbia, TN. The exhibit ran through the month of December. 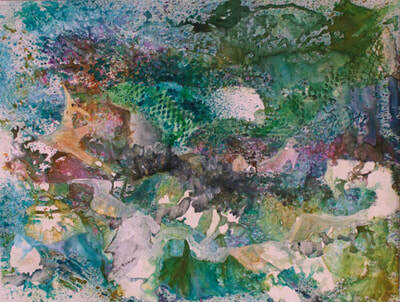 Hilda Waide won the Denize Veazey Memorial Abstract Painting Award for her liquid watercolor painting. 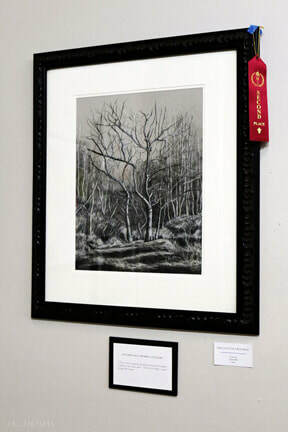 Janet Felts took two honorable mentions, one in Painting and the other in Drawing. at Hopkinsville's Frist Plein Event! The "HOP TOWN Paint Out" was held on Oct. 6, 2018. ​ They had great weather and a great turn out. 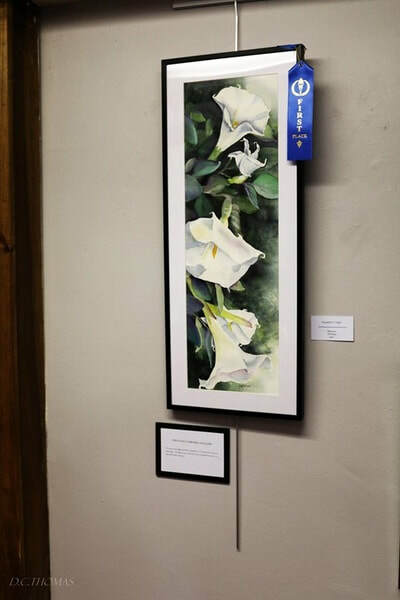 J Felts wins Award at the 9th International Society of Acrylic Painters On-Line Exhibit. 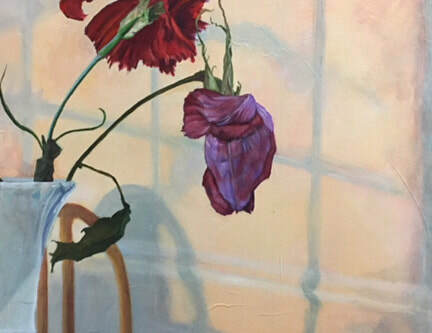 Janet's painting, "Day is Done" won the 'Winsor Newton Award' at the 2018 On-line Exhibition. The painting is a large Acrylic painting on a gallery wrap canvas. 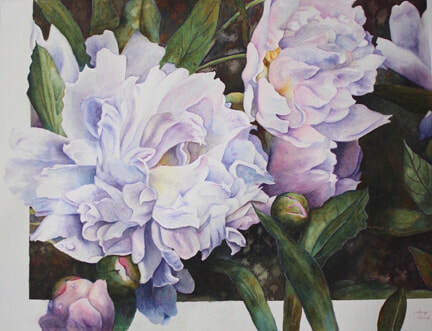 The painting was inspired by two flowers given to her on Mother's Day. One survived the day without a blemish, but the rose was damaged. Janet came in from work to see the two flowers in a vase again the light of the setting sun on the wall. She instantly thought 'now short and beautiful life is'. She had to paint this image. 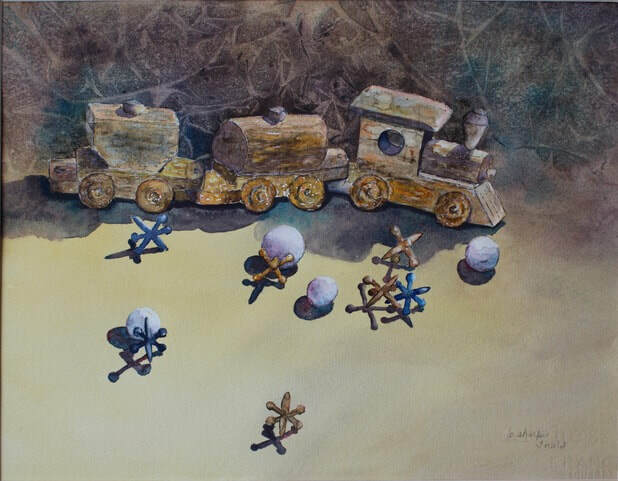 click here to see the on line show, scroll down for the artwork that made the show. 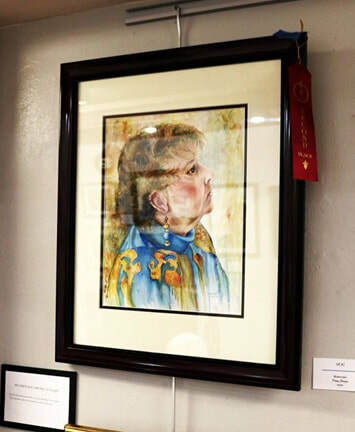 The annual Downtown Artists’ Co-op Regional Juried Art Exposition is held every August at the Downtown Artists’ Co-op Gallery, 96 Franklin Street, Clarksville, TN. 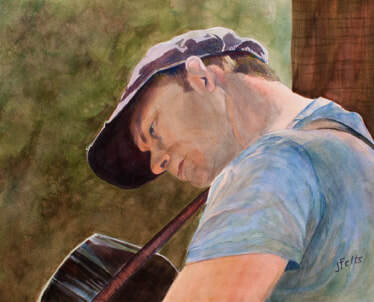 Artists 18 years or older who reside in Tennessee or Kentucky can enter the exhibit. 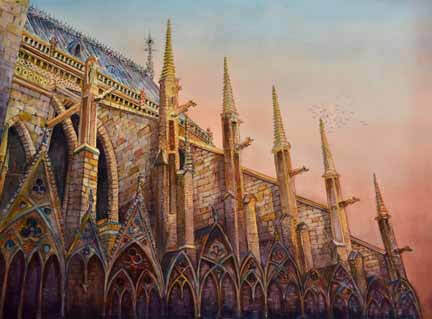 Jim placed is both Painting and Sculpture. 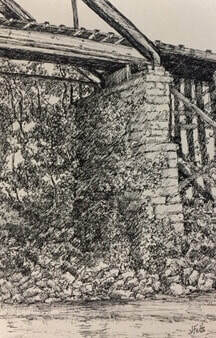 Janet placed in Drawing with one of her pen & ink drawings . 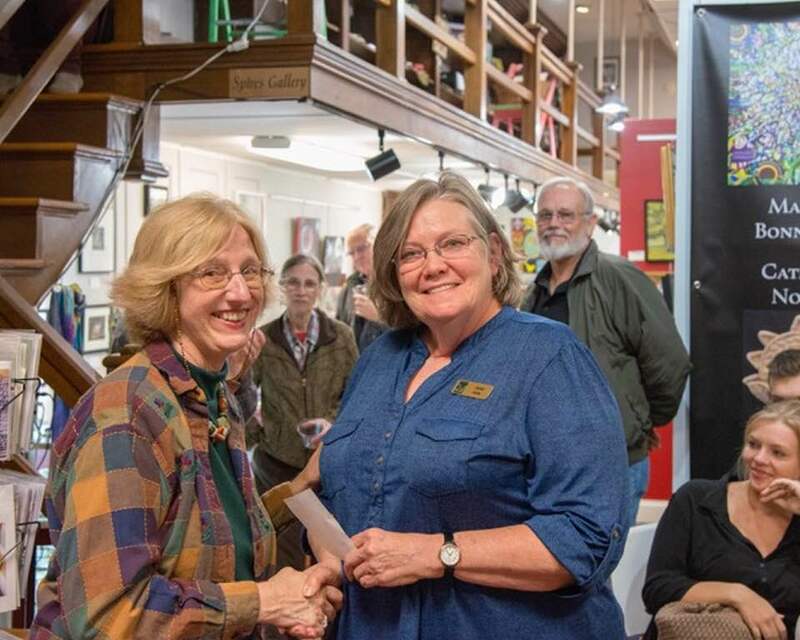 Hilda won the Tennessee Aquarium Sponsor Award of $1200 from the 2018 36th Tennessee Watercolor Exhibition at the Customs House Museum. 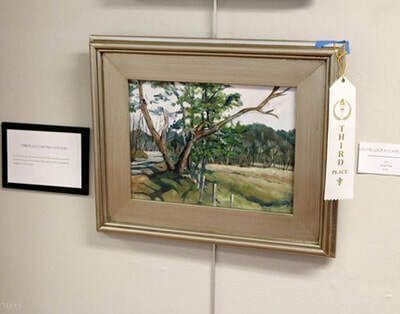 Jim received a sponsor award form the Montgomery County Arts & Heritage Development Council for his watercolor painting "Vesper and Pigeons" for $250. at the 36th 2018 TnWS Exhibition at the Customs House Museum. Lunch Talk Dec. 12th at noon. Some of our members will be at the Museum for a Question and Answer Session. t's free to the public. 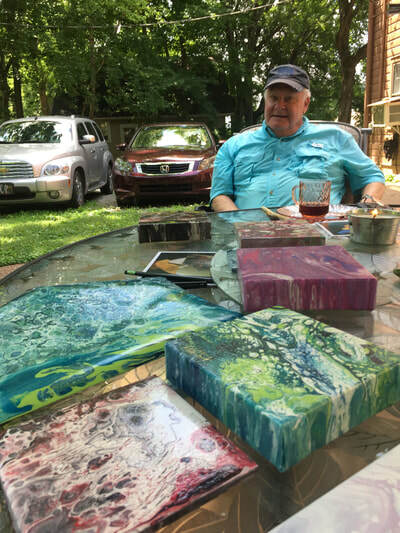 French expression which means 'in the open air,' en plein air painting became popular among 19th century impressionist painters intrigued by the changing patterns of sunlight on a landscape. Today’s plein air artists work in their surroundings, painting what the naked eye sees, without the focusing aid of photographs. 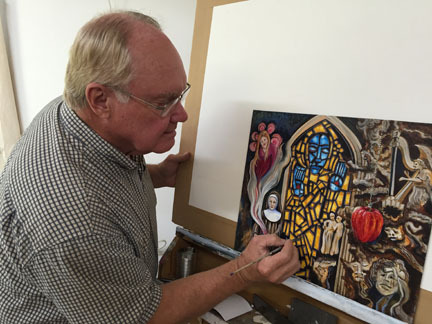 Patsy Sharpe's Class at Cornerstone has their Annual Art Exhibit this November. The Opening Reception was held at the Clarksville Historic L&N Train Depot. The show has now traveled on to Nashville. 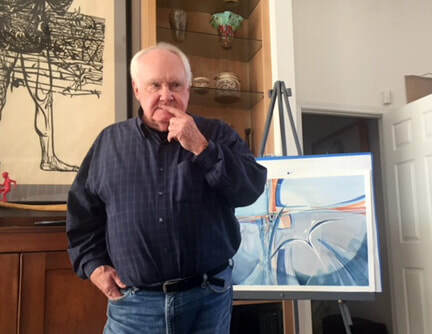 James Diehr, professor emeritus of art at Austin Peay State University, received the Lifetime Achievement in Art award this December 2016. 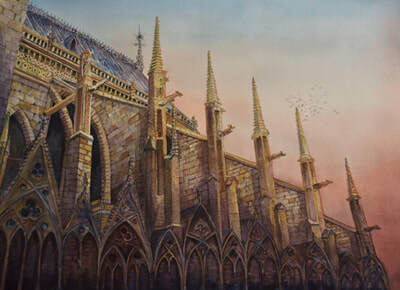 All the member of the 2 Rivers Society of Painters are so proud of Jim and proud he is a member of our little group. Congratulations JIM! 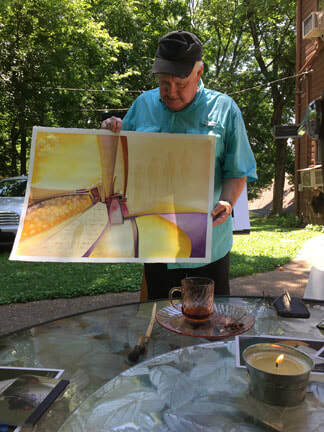 The 2Rivers Society of Painters met at Jim's beautiful home where we critiqued each other's works. 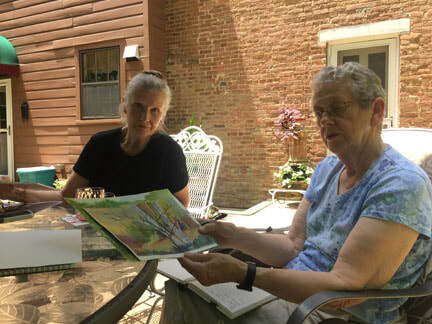 Patsy shared two of her watercolors she been working on, Hilda display a finish large Liquid watercolors on yupo, Janet brought in three acrylics, a still life and two plein air pieces. Jim had two new abstracts to add to his series of primary colors. Of course, we enjoyed some wonderful food and good conversation . 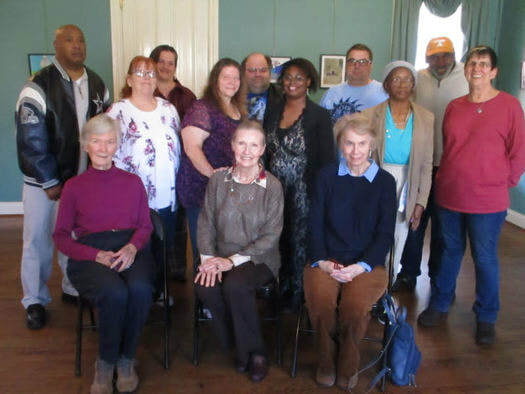 The group will be exhibiting their artwork at the Custom House Museum the month of December in the Peg Harvill Gallery.